Officers recovered narcotics, cash, and a BB handgun. 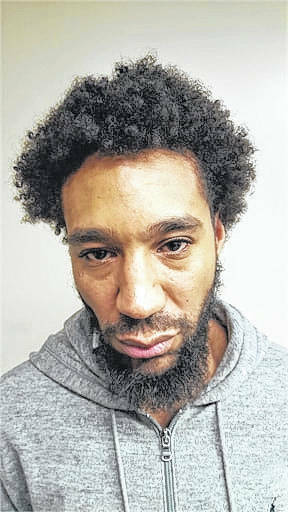 On Sunday, Patrol Officers with the Portsmouth Police Department were provided with information from an anonymous caller that the suspect, Nathan Willis, was currently at 2128 Summit St. The suspect had an active misdemeanor warrant from Portsmouth Municipal Court. Officers Musholt, Bell, and Broughton went to the address in an attempt to serve the active warrant on Mr. Willis. Officers made contact with the homeowner who allowed the officers to enter the residence. Once entering, Officers could hear subjects running to the back door of the house. Officers located Nathan Willis in the kitchen and placed him in custody for the active warrant. Officers then conducted a search of Mr. Willis and found in his front waist band a BB handgun. In Mr. Willis’ front pants pocket, Officers found 3 plastic bags containing a white powdery substance (suspected cocaine). In the same pocket, Officers found digital scales that are commonly used to weigh narcotics. In the suspects other pants pocket, Officers found another plastic baggy with white powder and $307.00 cash. Mr. Willis told officers that the white powder was cocaine. Officers further located additional $1500.00 cash on the suspect, totaling $1807.00. The suspect was found to have on his person 35 grams of suspected cocaine. While processing the suspect into the Scioto County Jail, it was found that the suspect had 2 plastic baggies with an unknown substance inserted into his body cavity in an attempt to smuggle the substance into the jail. According to Captain Hedrick, this was a fairly substantial bust. “This is someone who we had a warrant for and when we went to serve the warrant officers found the narcotics on him,” said Hedrick. The anonymous tip led officers to recover the 35 grams of narcotics and the suspect’s weapon. “Based on this anonymous tip telling us where the individual was, the warrant led us to be able to arrest him an take him into custody. Because of that search we were allowed to search his person and recovered all the drugs and money and the weapon as well,” said Captain Hedrick. According to Hedrick, any kind of drug dealing or operations will not be tolerated in the City of Portsmouth. “The more we can do the better. Everyday we’re out there trying to find all the drugs we can to get off the street. It’s going to have a substantial impact. We’re not going to tolerate any drug dealers out of town, or local drug dealers. The public’s help is really appreciated and we do act on every tip we receive,” said Hedrick. The suspect, 25 year old male Nathan Willis of Portsmouth, was charged with the below listed charges: Trafficking in Drugs Felony 1, Possession of Criminal Tools Felony 5, Illegal Conveyance of Drugs into a Detention Facility Felony 3. All suspected narcotics will be sent to BCI&I for lab testing. Additional charges will be considered when the case is presented to the Scioto County Grand Jury. Information obtained via a release from the Portsmouth Police Department. 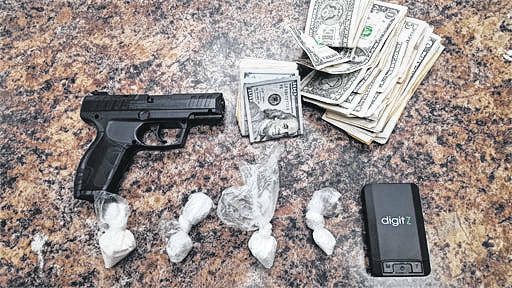 https://www.portsmouth-dailytimes.com/wp-content/uploads/sites/28/2018/02/web1_WILLIS-120182513426417.jpgOfficers recovered narcotics, cash, and a BB handgun.